In another recent vision, instantly, again as soon as I laid on my face, I saw a “big cat” break through some kind of barrier of darkness. This cat was literally on fire. It was a panther or a black lioness. This cat was a cartoon-type drawing, black on black and drawn in flames, bursting through the darkness of whatever this barrier was. The scene changed and I saw the big cat running, purposefully, as if it was headed somewhere, but now it was a tan panther or a lioness. 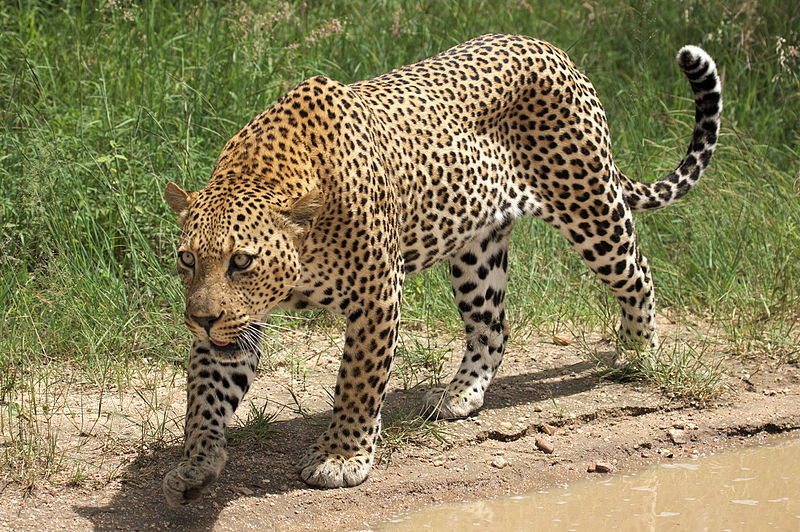 Next, I saw in rapid succession a tiger and then a leopard, or a jaguar…a spotted big cat. Where these big cats are found: South America and Asia, Africa, parts of Europe. Interpretation: The three big cats are three years. The big cats also stand for BIG COUNTRIES with BIG MINDSETS and BIG POPULATIONS. South America and Asia, where panthers are found, will become on fire for Revival simultaneously. Next will be Asia, again, for a double portion, where tigers are found; and then Africa, Asia and portions of Europe where leopards are found. Asia gets a triple header! Of particular note is the fact that ALL of these big cats are endangered species! I believe He is drawing a parallel here with Christianity. It is statistically provable that Christians are definitely in the minority on these continents, perhaps even an endangered species! Oh, how the Lord loves an underdog to show Himself mighty! Think Gideon! Think the Exodus! (see Judges 7:6 and Exodus 14:22-23). When we are weak, He is strong (see 2 Corinthians 12:10)! Interestingly, the flood of Revival may not begin in the big cities with big populations – it likely will begin in the rural areas. Azusa began with only two men praying for hours each day, as did the Welsh Revival with two older women. In those lonely, unpopulated places where these big cats survive is where the Holy Spirit Fire will break through. Revival Fire will catch and that fire will roar into the populated areas of these continents and countries, overtaking all other religions! In addition, many new fire-brand Revivalists will be coming out of darkness, catching on fire for the Lord. A black panther stands for high levels of witchcraft so this may mean that some revivalists will be forthcoming from the deepest, darkest places imaginable for revival to begin on these continents and in these countries. These revivalists will break out and break through from places that no man can fathom to go into places that no man can imagine. They will come from the highest places in dark cultures, religions and principaities, and bring many into His marvelous light (see 1 Peter 2:9). Revival is coming for sure! Progressive Prophetic – Mississippi to Louisiana! Remember Progressive Dinners? This is Progressive Prophetic! in Denham Springs, LA! Join us! Bring your group! Meet us there! All FIVE Speakers at Both Services! AWESOME! Previous Previous post: Time to Get Packed! Next Next post: You are Being UN-Forgotten!